Freshwater mussels were harvested by Native Americans for thousands of years, as a food source and for use as utensils. The pearls were also highly prized for beads and as decoration on pottery. 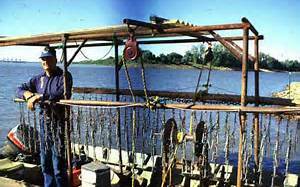 The modern era of mussel harvest began when a German pearl-button maker immigrated to the United States. When J. F. Boepple arrived in 1887, he was overwhelmed by the seemingly endless supply of mussels in the lakes and rivers of this country. He began an industry that would soon be supplying the world with high quality, beautiful mother-of-pearl buttons that would hold up to severe laundering. By 1920, there were over 200 button factories in the United States. 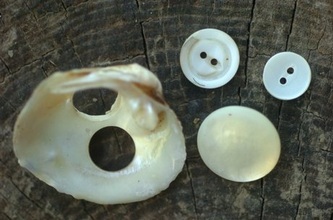 Mother-of-pearl buttons continued to be preferred until plastics became more economical following WWII. Brailing was the harvest method of choice around the turn of the century and consisted of dragging what was then known as crowfoot hooks, or three pronged metal hooks attached by rope or chain to a long pole. These poles were then dragged along the bottom of the river. In those days, the brail boats were propelled by a 'mule' or underwater sail which was lowered into the river, the current caught the mules and pulled the boats down the river. 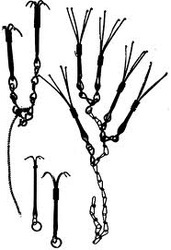 The mussels open to feed on plankton and algae in the water and when these hooks happened to hit them they would clamp down on them. 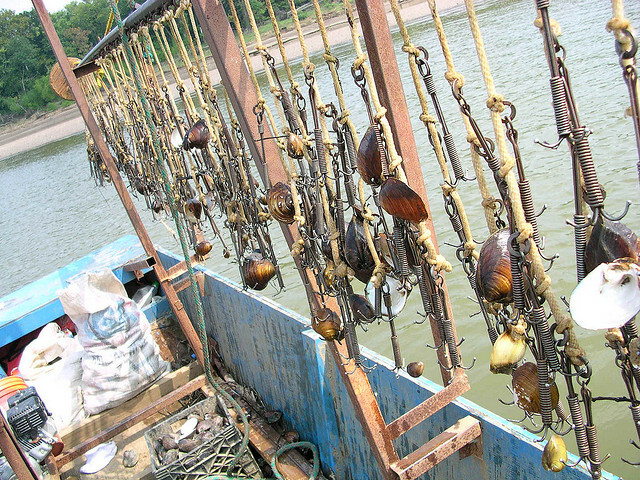 The brailer would haul up the laden brails every few hours and pick the shells off into the boat. 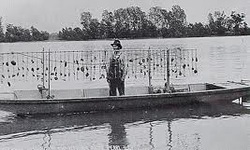 Brailing is still the only allowed method of mussel harvest in some states including Kentucky, and in some states mussel men are required by law to use the underwater sails (mules) to move the boats. 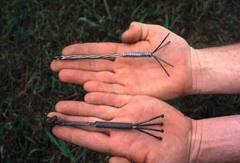 The advent of plastics for button making looked like the end of mussel harvesting. 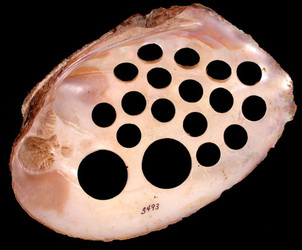 But in the 1950s the Japanese cultured pearl industry discovered the high quality of mother-of-pearl from the United States, particularly the Tennessee River.